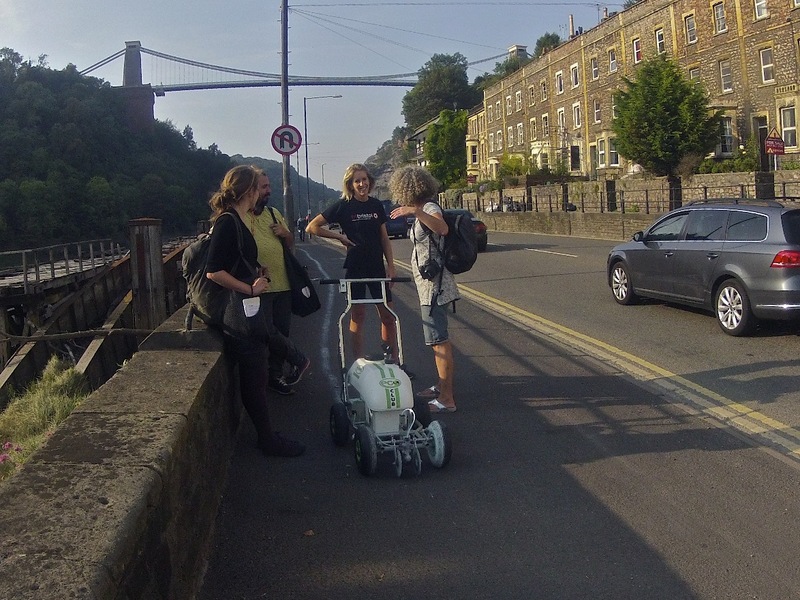 Bristol’s High Water Line Project is an ambitious attempt to map out the 32 mile edge of Bristol’s flood risk zone to highlight the threats of rising sea levels and accelerated climate change. Originally conceived as a solo performance by artist Eve Mosher, who walked the line in New York shortly before Hurricane Sandy made it a reality, the High Water Line project has become an international pop-up community project bringing together people in diverse cities around the world to think and talk about community responses to climate change. 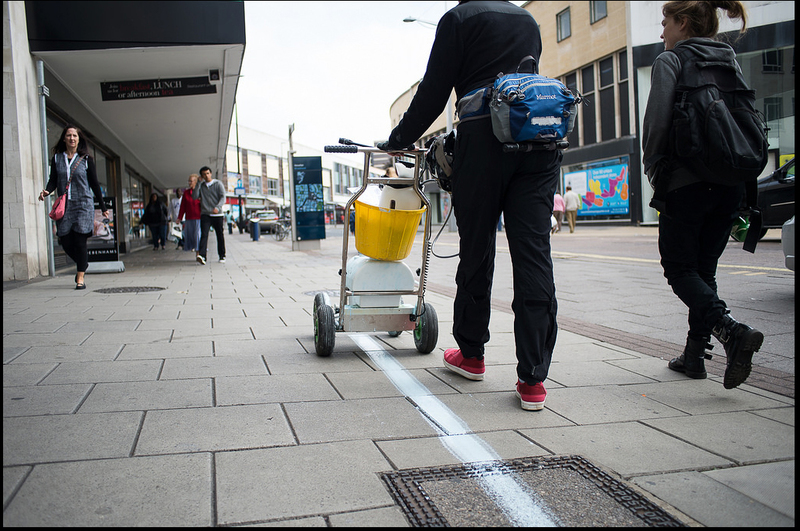 High Water Line Bristol is happening as I type – community groups and local residents from different areas have each taken on sections of the route, passing on the chalk markers from day today in a city-wide orchestrated performance. Though the line is based on Environmental Agency maps, the idea of the project is not so much to make an accurate flood prediction as to generate encounters and conversations. From planning and production through to the actual performance and subsequent events, the process provides a forum for people to meet and talk in ways they might never have considered. These connections and conversations are what make a community strong. As project coordinater Isobel Tarr says: “We know that communities come together after a disaster. We want to see if we can do that before a disaster too”. 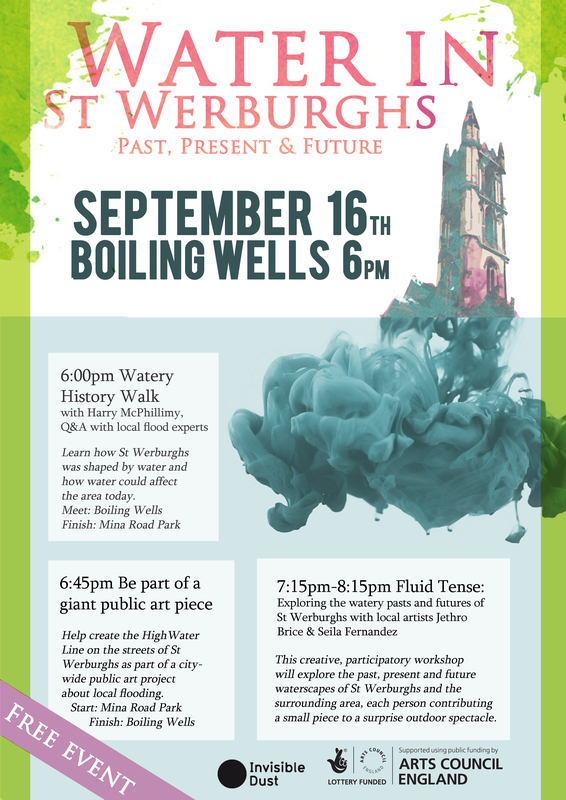 This creative, collaborative workshop with local environmental artists Jethro Brice and Seila Fernandez Arconada will explore the past, present and future waterscapes of St Werburghs and the surrounding area. Through storytelling, mapping and collective performance, we will explore what water means in our lives and how can we learn to live with its wilder side.